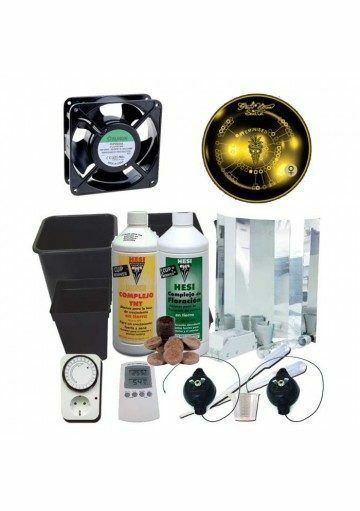 This indoor growing kit has everything needed to carry out a great indoor Marijuana cultivation. Available at 400W and 600W of power, 159 € and 179 €, respectively. 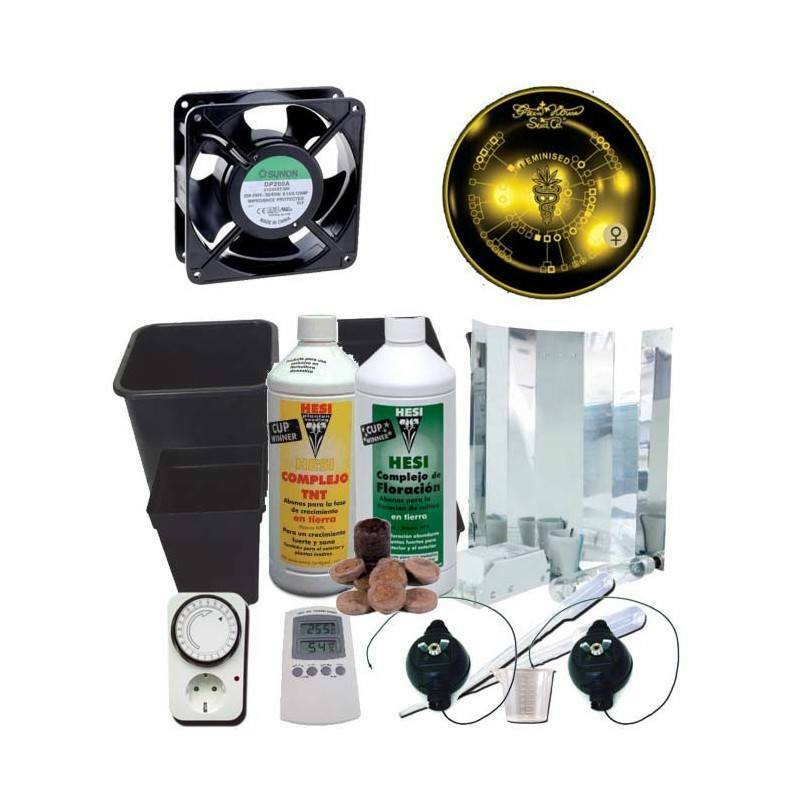 This indoor growing kit has everything needed to carry out a great indoor Marijuana cultivation. We also have more complete growing kits but this is suitable for those growers who can not spent too much money but still wants to have a successful indoor Marijuana cultivation. 1x indoor growing mixed lamp of 400W or 600W (growth and flowering) of a known brand. 1x Ballast of 400W or 600W ready to plug.